If you are seeing a message that says "Network Error, Kami was unable to load ____", please follow these steps to provide a temporary solution. We are aware of this issue and are working to resolve this. 1. Copy and paste chrome://extensions into the navigation bar in Chrome or use the menu button (the three vertical dots) at the top right corner of Chrome to access the More tools > Extensions option. 2. 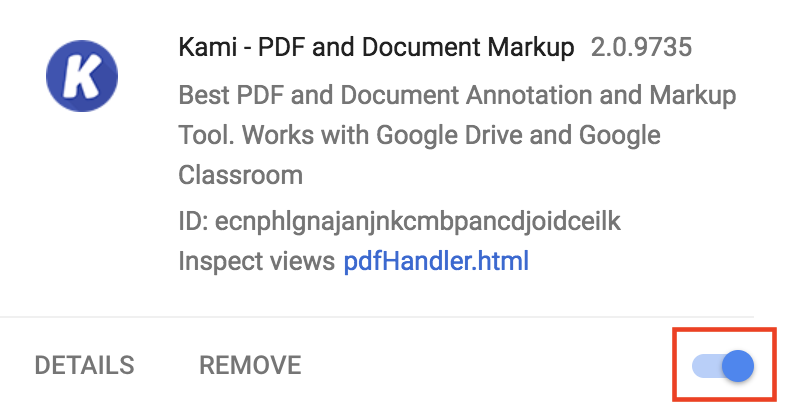 Next to the Kami extension, either uncheck the Enabled box to disable the Chrome extension (depends on what version of Chrome you are on).